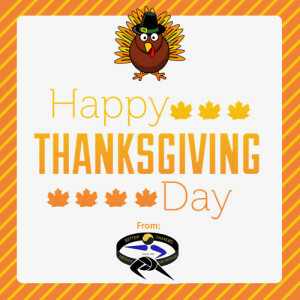 Better Families Wishing Everyone a Healthy and Happy Thanksgiving! We at Better Families would like to wish everyone a safe, healthy, and Happy Thanksgiving! We are committed to nurturing better families through the discipline, focus, and hard work inherent in Tae Kwon Do training. We love Thanksgiving as an occasion for everyone to drop everything and spend time with their families in this treasured time of the year. The rest of the year, creating a fitness routine for the whole family can provide just the kind of connection with your loved ones that is often missed or overlooked. Congratulations Jewelianna Ramos and Rodrigo Perez!!! Better Families wants to congratulate the Better Families Competition Team at an impressive performance at the International Martial Arts Festival. Students that represented the Miami Tae Kwon Do school showed power, skill, discipline and respect for others. Competition team is one of the many reasons why Better Families has the great reputation it is. Today we want to give attention to two students who achieved an outstanding achievement as 2013 National Team Champions. The Traditional Team Forms competition at a national level is televised on ESPN3 for the world to see. This tournament was hosted at the Walt Disney World Resort where students come from all over the world to compete. Two students named Jewelianna Ramos and Rodrigo Perez competed as a Team Better Families to become 2013 Traditional Team Forms National Champions.The team’s performance was aired on ESPN3 before they were awarded the championship. Traditional Forms is a style of competition that displays power, discipline, skill and fundamentals. Commentators were mentioning how Better Families has a great reputation on a national level. Miami Tae Kwon Do school was described as a very strong program owned by the Perez’s who do a tremendous job for the community. We are so proud of this team and all students who compete in tournaments throughout the year. Better Families is looking forward to giving more updates on the competition team. Picture shows both Jewelianna Ramos and Rodrigo Perez. In other news, school is back for most of us as the season of fall has just begun. We hope everyone had a wonderful summer and succeed in the classroom. Future success can be created anywhere whether it’s the classroom, dojo, socially or in the house where there is always room for improvement. Create goals whether it’s getting straight A’s, winning martial arts tournaments or being more helpful in the house. Week 6 of the Miami Tae Kwon Do Summer Camp is broken down day by day here. On Monday Mr. Nicholas will be teaching campers a combination of movements to later on ask them to create their own combination and perform for everyone at the end of the day. Campers are allowed to bring their own music to go along with their performance while overcoming the fear of performance. Tuesday this week Better Families presents: “Ninja Challenge Day”! The “Ninja Challenge” will allow students to take their senses to the next level. Campers will be encouraged to push themselves to face certain types of mysterious obstacles. Campers will need to bring a blind fold and their “A” game! Miss Vazquez will be joining us as well with one of her very cool science project. Wednesday this week the campers will be breaking boards to test their might of CONFIDENCE and FOCUS. Then on Thursday the campers will be challenged with an art lesson with Mr. Groff. Campers will also be disguising themselves as ninjas (Hair spray paint). If campers are allergic please let me know right away.Here is an additional note for parents who may not already know this. Of course Friday as always is FREE FRIDAY! If your camper does not own a TKD uniform you may purchase one at our pro- shop at a discounted rate, or campers may wear sports bottoms (Better Families t-shirt mandatory). As we all know children are infamous for misplacing items, so please write full names on camper’s personal belongings. Lunches are available (See attachment for details) for only $5 a day, this will include a snack for later on in the day, or campers may bring their own lunches. Fridays are our pizza day, if you would prefer your child does not have pizza please let us know in advance so we can make arrangements to meet your expectations. Even though we are in the middle of the week, we would like to give you a full update on how week 3 summer camp works. This week the Miami Tae Kwon Do school will be having X-treme Martial Arts Week. Starting from Monday through Friday we will be giving you an update on theme/daily of the day. Monday: Today campers will start the journey of “X-tremeness”. Campers will be taking gymnastics class. Students will be learning about the different styles of martial arts around the world. Tuesday: Bring YOUR favorite song to create YOUR X-treme Weapon form too! Campers will take their basics and turn it into a master piece. In order to keep their ninja strength they will be learning how to put together a ninja snack (Very important that we know of ALL allergies please). Wednesday: Campers will be learning how to control a weapon as well as learning the protocol. Due to many new campers we will be using “Noodle” as our Bo, if you are a current student you are welcome to bring your Bo. Thursday: Ninjago!!!! Girls and Boys will be re-creating their own version of ninjago. Campers will be asked to wear ONE color to help add to the ninjago handmade mask. Stay Updated as we will continue to post these updates about every week of summer camp throughout the season. We hope everyone is having a wonderful time for summer. It may be a little late, but it’s never too late to congratulate our Miami Heat. Better Families staff, family and friends stood proudly behind our team throughout the playoffs. Not only these players represent our city but are also great people as well. Lebron James and Heat players are wonderful role models for our students and community. Miami Tae Kwon Do school is proud to announce that this year we will be continuing our long tradition of hosting summer camp. We are already weeks into it and it is already better than ever before. Here is a note from Miss Karen for parents of summer camp students this year. Dear Parents, Better Families is always finding ways to get more organized and more done in less time. In order to make this happen we are asking if you would be on the same train as us by pre-paying all lunches and craft fees that may apply to you. Safety is always our main goal! Please make sure that all campers are wearing Better Families t-shirts everyday (Friday is FREE day, campers may wear appropriate clothing other than the camp uniform). It is suggested to bring all TKD items (Uniform, Belt and Gear) just in case we use them throughout the camp (Pro-shop will hold special discounts for any camp purchases). Campers may NOT bring any DS’s, iPods or any expensive items unless it is on FREE Fridays ONLY. Better Families will NOT be held responsible for any losses or damages to any and all electrical devices. If your camper does not own a TKD uniform you may purchase one at our pro- shop at a discounted rate, or campers may wear sports bottoms (Better Families t-shirt mandatory). As we all know children are infamous for misplacing items, so please write full names on camper’s personal belongings. Lunches are available (See attachment for details) for only $5 a day, this will include a snack for later on in the day, or campers may bring their own lunches. Fridays are our pizza day, if you would prefer your child not have pizza please let us know in advance so we can make arrangements to meet your expectations. Miami Heat Game 7, GO HEAT!! Miami Tae Kwon Do school is showing their support for the Miami Heat tonight against the Pacers. Tonight is Game 7 as it is a win or go home scenario. Martial artists can appreciate the focus and athleticism that basketball players posses. Miami Heat players are not only talented athletes but give back to the community as well. Heat team is full of players who are actively involved with helping those in needs and bringing a positive influence to young children. There are not athletes like Miami Heat players who go out of their way to help others in need. Better Families has been in Miami for over 20 years to see the ups and downs of our Miami Heat. Our local NBA basketball team is at an all time high but still have to win one more game to be remembered forever. Only champions stay in the history books as the Heat are looking to make history. Not many teams have won back-to-back championships, as the competitive level is high in the NBA. This league is full of some of the best athletes in the world. Better Families students, instructors, friends and family members will be tuning in tonight to support our team. Those who are fortunate enough to attend the game will be yelling and cheering all game long. We hope the Heat can win tonight so they can enter NBA Finals for the third year in a row. Heat fans will be wearing their white hot uniform and other memorabilia to show their support. Many Better Families students have been posting through social media about their support for the Heat. Miami was rated to be #1 fans in the NBA. Let’s show why we were rated as the best fans and support our Miami Heat. Better Families hosted a graduation ceremony this past Friday at the dojo. Students from many belt levels were present to be rewarded their next belt. All these students have worked very hard to earn their new rank. Miami Tae Kwon Do school go through a difficult process to earn these belts. A student must prove they have mastered their current belt curriculum by being tested for it. Passing the tests is only a part of the process as there is a fill out form process. The students’ guardians and teachers telling how that student has behaved generally fill out this fill out form. It’s important that the student has good marks in terms of their behavior in order to advance to the next ranking. Ceremony was tons of fun with family and friends present to watch the student graduate. Graduating students give a small performance showing what they have learned for everyone to see. Instructors also take part by performing advanced forms for entertainment. Everyone has a great time as members generally spend time after the graduation becoming further acquainted. 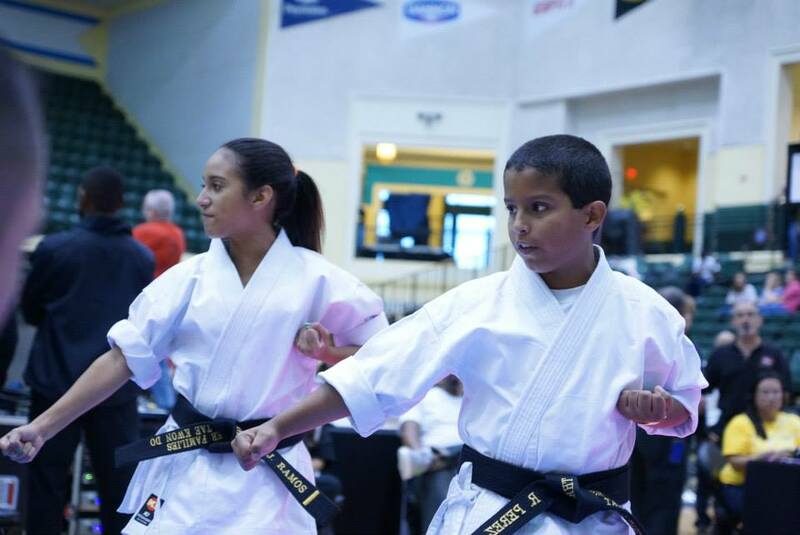 Miami Tae Kwon Do school is a large extended family with over hundreds of members having a great relationship with each other. Better Families hosts a graduation ceremony once a month that runs successfully as this one was no different. We appreciate everyone who was present at the graduation whether you’re students, parents, friends or family members all of you are welcome. Those who did not graduate last week will have an opportunity to advance their ranking next month. Simply receiving is new belt does not cut it for this martial arts school as we feel such an accomplishment should be celebrated Success should be praised, as often as possible, positive reinforcement is the best motivation for hard work. Miami Tae Kwon Do school hopes everyone is enjoying Mother’s Day today. This martial arts school is all about family values. Today is a day to show our appreciation towards the people that brought us to this world. Mothers work tirelessly for their children from birth to adulthood as they never stop loving their children. Many mothers are actively involved with their children’s lives into adulthood as they will always need guidance from their parents. This holiday gives everyone a wonderful opportunity to stop everything and put all the attention towards the moms. Most children barely notice everything their mother has done for them until adulthood, especially when they become parents themselves. The only thing mothers ask for in return is love and appreciation along with happiness in their children’s lives. Take the time today to tell your mother how much you love and appreciate her. Mother’s Day is celebrated with all mothers from friends, family and grandparents who brought the mothers in this world. Whether it’s a Facebook post, greeting card, flowers, lunch or dinner anything is appreciated from mothers. Be sure to spoil your mothers this one day a year as they deserve it as much as anyone does. Smallest gesture could mean to world to mothers as they will gladly appreciate anything you do for them. Better Families takes great pride in their family values as the students are extended family members. Time students, instructors and parents spend with each other is comparable to a family itself. We hope everything is having a good time this Mother’s Day where we can relax and enjoy ourselves. Better Families wants to wish all the moms out there a Happy Mother’s Day including students, parents and everyone else. Feel Free to Post Pictures on Facebook! Better Families has been active with Facebook and Twitter to interact with a whole new audience online. This activity allows the Miami Ta Kwon Do school to interact with current students and family online along with meeting new people. The internet is a media with millions of people that can be discovered in and instance. Tae Kwon Do school has been posting pictures, updates and features on the Facebook page and will continue doing so. We encourage followers to post any pictures they may have to share with the martial arts school. Pictures can be of students involved with Better Families or any picture involving Tae Kwon Do. Post pictures can be from the past or present as new picture is welcome on the fan page. Past pictures of Better Families students whether they are former ones or simply old pictures of current students. Former and current students are welcome to post pictures of when they were participating for the Tae Kwon Do school. Many students have come and gone throughout the years, as all of them are welcome. Followers of this fan page are very interactive as every post is followed with a “Like” or “Comment”. Sharing pictures is fun, especially for us who may not have seen some of them before. Fan page can be treated as a photo book of Better Families and everything else involving the martial arts school. We plan to keep everyone involved with the social media while posting pictures and updates. Ideally the fan page will grow with more followers so that this martial arts school can have a larger audience. More the better when it comes to social media followers and students for the Miami Tae Kwon Do school.